Two of the week’s stories in Arab media report on economic approaches by Turkey to the African continent through Algeria and the Red Sea, while a third describes a boycott of Turkey gaining momentum in Egypt. Turkey’s economic partnerships with Algeria are set for a boost that could see trade between the countries treble to Turkish President Recep Tayyip Erdoğan’s target of more than $10 billion per year, the London-based pan-Arab daily Al-Quds Al-Arabi reported on Wednesday. Erdoğan discussed his goal of boosting trade on Tuesday during a speech at the Algeria-Turkey Business Forum in the country’s capital Algiers, where he was joined by his wife Emine and an entourage including 200 Turkish businessmen. The main initiative announced at the event was a $1-billion joint project between the Algerian government owned energy company Sonatrach and Turkish firms Rönesans and Bayegan to build a petrochemical factory in the southern Turkish province of Adana. The facility is projected to use oil imported from Algeria to produce 450,000 tons of propylene annually, reducing Turkey’s reliance on imported petrochemicals by a quarter. Algeria also expressed a desire for Turkey to make reciprocal investments in its local industry, to help the country cut down its foreign trade deficit of $45 billion. There are currently 850 products which Algeria prohibits imports of, and Algerian Trade Minister Mohamed Ben Mouradi invited Turkish companies to take advantage of the tax discounts, customs exemptions and other incentives provided to companies willing to establish partnerships with Algerian companies. Algeria is Turkey’s largest trading partner in Africa, with an estimated $4 billion worth of Turkish goods exported to the North African country, and around $2 billion going the other way. The forum in Algiers represents an opportunity for Turkey to further consolidate its trading partnerships in Algeria, and use the country as a platform to reach further African markets, said the head of the Algerian Chamber of Commerce and Industry, Mohamed Eid Ben Omran. The Turkish president also visited Mauritania, Senegal and Mali during his five-day trip, starting on Feb. 26. His last visit to Africa in December 2017 included trips to Sudan, Tunisia and Chad. In a blog for Qatari news network Al Jazeera, Wael Ali described another Turkish approach to Africa – in this case through the Jordanian Red Sea port of Aqaba. The Red Sea is a focal point for major global powers such as the United States and France, which have established permanent bases in the region from which to curtail the influence of rising powers like China and Iran in the vital trade route, said Ali. China’s establishment of a naval base in Djibouti in July 2017 has further intensified competition over the Red Sea passage, through which 15 percent of the world’s trade passes. Turkey’s foreign policy has already taken a clear turn towards the region with last December’s agreement with Sudan to rebuild the Red Sea disused port island of Suakin. Now Jordan’s dissatisfaction with its long-term Arab allies may have presented another opportunity for Turkey to stake a claim in the lucrative sea, according to “leaks” cited by Ali in his blog. The ruling Hashemite regime is feeling the strain of a severe economic crisis that has seen debt rise to $40 billion and the budget deficit to $700 million. The crisis has forced the government to raise taxes on food staples including bread by 50-100 percent, spurring public anger and calls for the dissolution of parliament. Jordan already feels “abandoned” in the face of this crisis by its traditional allies in Riyadh and Cairo, according to Ali. Amman is further unnerved by these same allies’ willingness to back a reported U.S.-drafted Israel-Palestine settlement that gives up the Palestinians’ long-sought right to return and stipulates instead that millions of Palestinian refugees are absorbed into their countries of residence. Since two-thirds of Jordan’s population are of Palestinian origin, and the remaining third take a hard line against Palestinian naturalisation, Amman fears that such a settlement will sow chaos that could potentially spell bring down the regime, wrote Ali. This has pushed Jordan towards Ankara, whose policy line on Palestine falls in line with its own. The leaks cited by Ali say is on the verge of an agreement that will make Jordan’s Red Sea port city of Aqaba into a “hub for Turkish exports to Africa,” a move that may also provide vital economic relief. These reports have surfaced the week after Jordanian King Abdullah II received Turkish Foreign Minister Mevlüt Çavuşoğlu and Chief of the General Staff Hulusu Akar’s visit in Amman to review bilateral relations and discuss developments in the region. The popular Egyptian daily Youm7 reported that a public boycott of Turkish goods has taken off in Egypt to protest what it calls Turkish President Erdoğan’s “anti-Egyptian policies”. Relations between the two countries have been dismal since Egyptian President Abdel Fattah al-Sisi deposed his predecessor, the Muslim Brotherhood-linked Mohamed Morsi, in a coup in 2013. Egypt has consistently accused Turkey of supporting the banned Muslim Brotherhood, as well as jihadist groups active in the Sinai Peninsula and neighbouring Libya. Adding to the tension, Ankara recently intervened against Egyptian and Cypriot plans to exploit vast gas reserves in the eastern Mediterranean, saying the two countries’ demarcation agreement had violated Turkish waters and breached Turkish Cypriots’ “inalienable rights” to the resources around their island. Calls for a boycott against Turkey rose to become Egyptian social media’s hottest trending topic, Youm7 reported on Sunday, with 12,000 tweets including the hashtag “boycott Turkish products”. 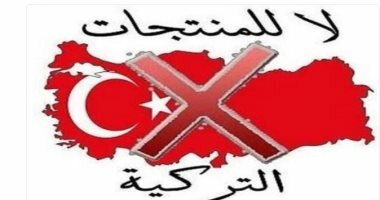 Youm7 reported that the call for a boycott gained support from Arab countries further afield, quoting Qatari “opposition leader” Sultan bin Suhaim (presumably the member of the royal family) who called it “a campaign by Egyptian activists to express their categorical rejection of Turkish policy and its blatant interference in the country’s affairs”. ردا على سياسات أدروغان المعادية لمصر، قرر المصريون الرد عليه بحملة جديدة لمقاطعة المنتجات والبضائع التركية، ودشن عدد من رواد موقع التدوينات الصغيرة "تويتر"، هاشتاج "مش هشترى المنتج التركى".